And when asked if President Trump’s “two-for-one” executive order (mandating that for every new regulation put in place, two must be eliminated) would affect regulations governing pensions, Weller averred that such matters are “way above my pay grade” but also observed that cost-benefit analysis is different for tax regulations than for rules in other departments. I was that attendee and there was more to the answer……..and the question. Most of the questions at this session came from moderator Tonya Manning as specific issues involving individual plan situations were discouraged and the IRS has not been doing much on pensions lately as resources are being allocated to getting out regulations on the largest tax law change since 1986. With a clear path to the microphone for most of the session and a need to fill 75 minutes I went up with two questions that I put in the category of ‘fun facts’. Q1 (continued): Presumably that proposal is as dead as Al Franken. Is there anything else on the horizon? A1: Harlan Weller did say that the retirement system does have a lot of bipartisan support and also added that there was not much appetite to use retirement plans to generate revenue and noted that reductions in 401(k) limits proposed back then were dismissed by Donald Trump’s tweets on the subject. Q2: Twice at this meeting you mentioned that last Friday the IRS put out job postings for the first time in a long while on usajobs.gov for actuaries. Who are you looking for? A2: Carolyn Zimmerman of IRS explained that there is still a hiring freeze at IRS but over the last year there have been about five departures from an already small staff. The actuaries coming in would work on policy regulations and be in the field. I can’t help but thinking about the corrupt New Jersey Supreme Court, when I hear the words, live up to your agreement. I keep going back to the cost of living adjustment case, for people I know, with very modest pensions, who were told to defray the increase in the cost of their medical coverage, in retirement, by using their cost of living adjustments. They were informed of this, some in writing, by the State of New Jersey. One individual receives a combined amount of social security and pension of $22,000.00 per year. This person retired PRIOR to the law having been changed. The New Jersey Supreme Court, in the Berg opinion, stated that reliance could not be placed upon the existing law, including the relevant New Jersey statute, case law, including a unanimous opinion crafted by the Appellate Division of the Superior Court, employee handbooks and manuals. This person came to me with one question, which was how can this happen in this country? This is why I came to this great nation. I told her that things change, and promises are now made to be broken by filthy politicians who wear black robes. They received their instructions, from other dirty politicians, to draft an outrageous opinion that bastardizes the once existing law, due to the fact that other previous politicians refused to follow another law requiring the pensions to be funded. By destroying any semblance of remaining law, the New Jersey Supreme Court prolonged the life of a Ponzi scheme created by a history of a self-inflicted refusal to fund. I also told her not to expect a Goldman Sachs alum to provide any assistance. I don’t know how the NJ Supreme Court came to rule that COLA can be suspended, but THANK GOD they did. It’s about time the financial “mugging” of NJ’s taxpayer by the insatiably greedy Public Sector Unions/workers took a setback. Yes, but how, why, and by whom? Wasn’t it by NJ Elected Officials BOUGHT with Public Sector Union BRIBES disguised as campaign contributions and election support ? WHEN (not IF) NJ’s Public Sector Plan assets start to run out (5 years? maybe 10? ), the COLA-suspension will just be the tip of the iceberg in WELL-DESERVED pension reductions. The woman I am referring to does NOT have a subsidized health care as part of her retirement plan. She is a widow with no survivor benefits. Her husband died many years ago of pancreatic cancer. I would hardly view a combined amount of social security and pension totaling $22,000.00 as greedy. She came to the United States to clean houses. Furthermore, when statutes, cases, employee manuals etc. are meaningless to a politically corrupt court, that predetermined its ruling, the state is nothing more than a Banana Republic. This is what the State of New Jersey has become. New Jersey is a Banana Republic. The only member of the New Jersey Supreme Court that “stood up” for the rule of law was Justice Barry T. Albin. God Bless EQUAL, but NOT better …….. on the Taxpayers’ dime ! Is it better for your friend to have her $22,000 income for ten years, or to have her pension COLA-adjusted, and terminated entirely in five years? * yes, I edited out “in WELL-DESERVED pension reductions.”… ignore (a) and (b), that’s just extraneous drivel. 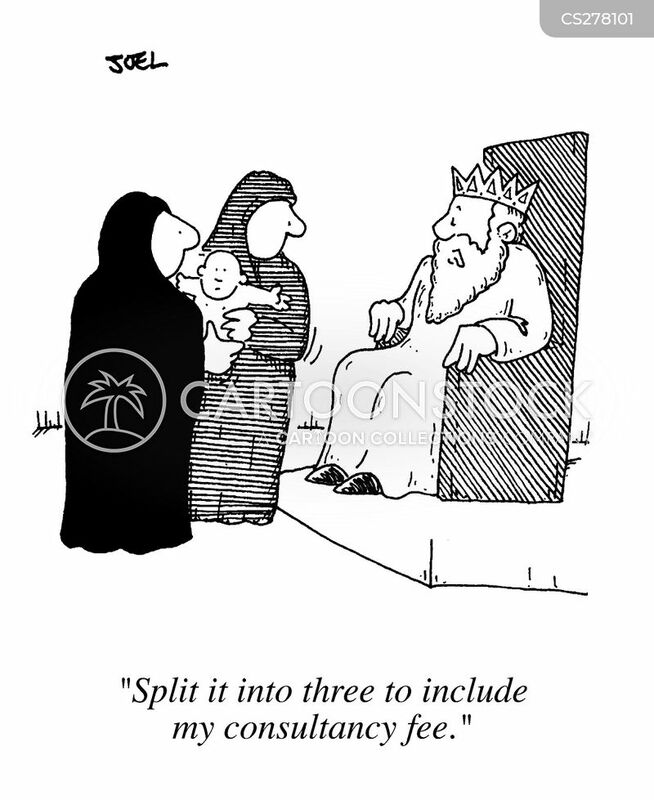 Or the parable of Solomon splitting the baby.